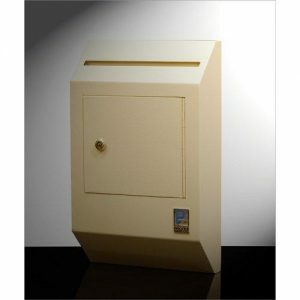 Perma-Vault can be placed in a convenient location wherever cash, checks, or receipts are handled.The instant you deposit cash, checks and receipts through the convenient cash slot, Perma-Vault is on guard, helping to protect you against robbery and employee theft. $375.00 Through the wall depository. Medeco high security lock with two (2) keys. Black enamel finish. Optional extension chute for installation thru interior wall stud. Optional extension chute for installation thru exterior wall.